Recently I discovered how wonderful coconut flour is. It’s naturally gluten free, and tastes amazzzing. It can a little difficult to work with though. 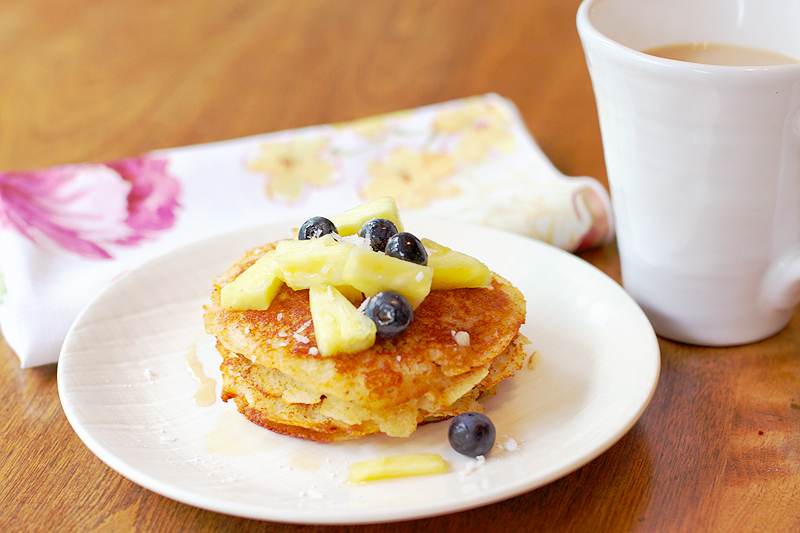 I was craving pancakes and decided I wanted to try making some with the coconut flour. I was racking my brain of trying to think of some delicious things I could pair with it – and then it hit me. Pina. Colada. 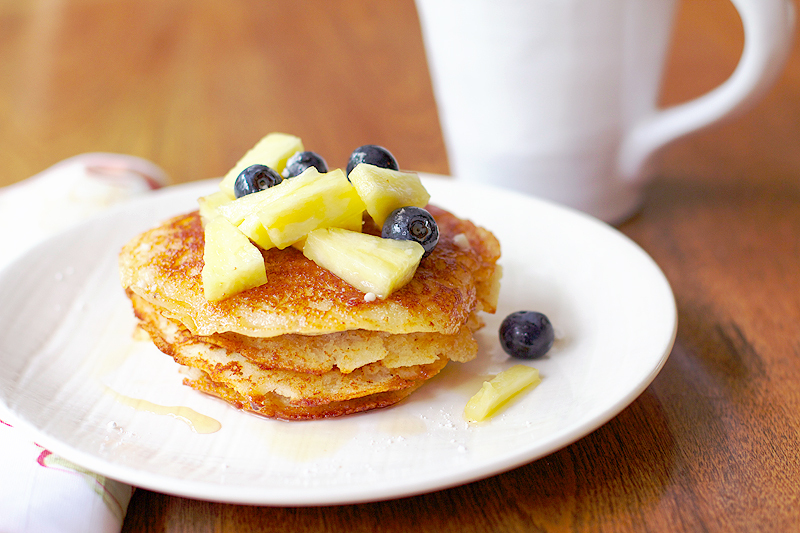 Pancakes. 1. In one bowl, mix all the dry ingredients together in a large bowl. 2. In a separate bowl mix the wet ingredients & blend them using either an electric hand mixer (a blender will work also). 3. Add the wet ingredients to the dry ingredients and mix using a fork. 4. Cook on medium heat in a pan, and flip when they begin to bubble or are golden brown on the bottom.Make sure you butter or oil your pan as well, as I found the coconut flour really sticked compared to using just regular flour. 5. For the syrup, I just added a little bit of rum to maple syrup and mixed it together in a glass because I was lazy. There are lots of great recipes online though for real rum syrup if you’re ambitious! 6. 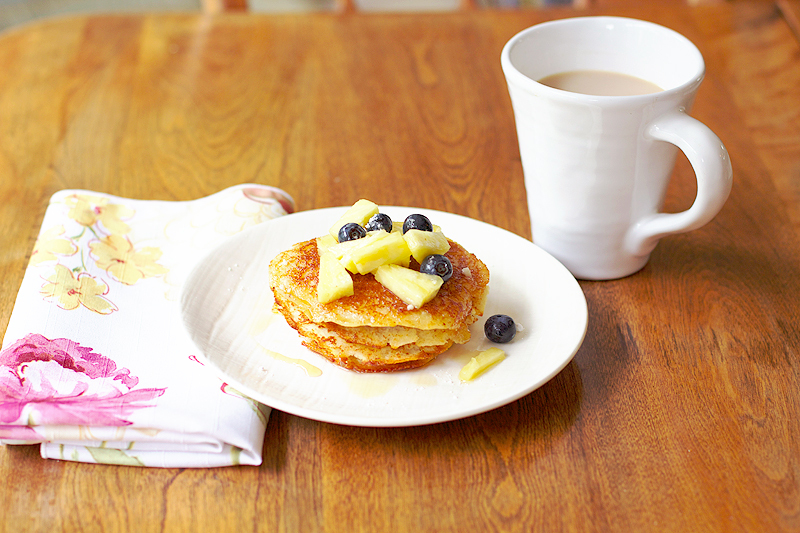 Garnish the pancakes with the rum syrup, fresh pineapples, shredded coconut and icing sugar. Tastes like summer! P.S. 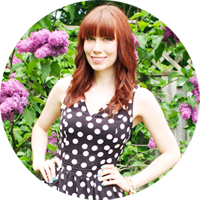 Don’t forget to enter the current giveaway from Blurb Books! This entry was posted on Sunday, June 3rd, 2012 at 7:54 pm	and is filed under Food, Gluten Free. You can follow any responses to this entry through the RSS 2.0 feed. You can leave a response, or trackback from your own site.